One of the biggest challenges facing any leader is ensuring that the team around them is fit for purpose and able to co-deliver the vision, thus helping the organization to achieve its strategic objectives and deliver to its shareholders. In this article the focus is on those scenarios in which a leader is able to build a new team around them, rather than inheriting one. a leader’s role can be compared with that of an orchestra’s conductor. All too often, leaders have a tendency to hire in their own image. This can feel ‘safe’ because hiring people similar to you will increase the likelihood that they will agree with you when it comes to decision making. In practice, however – hiring in one’s own image is rarely a good idea. Instead, the highest performing teams are almost always comprised of individuals who between them represent a wide array of strengths, backgrounds and perspectives – each being able to bring insight and a new view – rather than simply acting as a ‘shadow’ or ‘yes man’ to the team leader. Team composition begins with self-insight on the leader’s part. What are your spike strengths? And blind spots? What ‘gaps’ need to be filled by those who will directly support you? This element is critical and effective leaders will ensure that they have reached this level of self-insight at the outset. As a leadership consultant – this is an area I am often asked to support with and it is particularly fulfilling when working with leaders who understand that ‘knowing thyself’ is a fundamental tenet of successful leadership. Alongside the leader’s self-insight sits the broader question of context. What role will the team have, especially with respect to decision making? Will individuals predominantly act in silos – or will the team act congruently and jointly take responsibility for key organizational decisions? In short – will the team be a solid, supportive ‘body’, a bit like a sports team – or will it instead be a group of individuals, each struggling for power and influence in which politics is the name of the game? As organizations move further towards a model of distributed leadership – articulation of roles and responsibilities becomes increasingly critical. This can be contrasted with organizations in which one key leader sits at the center, ruling ‘Emperor-like’ across the entire organization. Today, leadership is more intricate than it has ever been. There are multiple stakeholder groups, significant regulation and increasing competition that takes place in an ever more ‘border-less’ and 24/7, ‘always on’ world. All of these combine to make the modern world and its leadership challenges much more complex than they were fifty or even twenty years ago. So clarity is everything. As the team starts to come together – the leader’s early priority should be to collectively build a sense of shared purpose. This starts with identifying and agreeing clear roles and responsibilities. This also follows through into agreeing such things as: how meetings should be run (frequency, format, expectations, etc); how to communicate; and how decisions should be made. Agreeing these up-front in a way that is clear and structured will provide significant productivity gains when it comes to time spent in meetings going forward. At the very outset it may feel a bit contrived and perhaps unnecessary – but setting these parameters and structures is key to smooth team-working; it’s about agreeing, setting and then managing expectations and promoting transparency and process. Team members are not expected to agree with one another at all times. In fact, occasional healthy disagreements and conflict will naturally occur in a diverse team. With this in mind, a mechanism for dispute and conflict resolution should be established. If it isn’t established – what often happens is that disagreements can turn into heated, often hostile, fracas in which emotions run riot and tempers fray; this isn’t conducive to productive team working. The leader’s responsibility is to manage and promote all viewpoints that result in productive discussion, followed by a decision. How consensual the decision-making is should, as mentioned, be agreed at the outset. Rarely is senior leadership decision making ‘black and white’ and as a result, it’s especially important that the whole team gets behind decisions that are made. When putting a team together and working on the building blocks that will govern format, decision making and process, it can sometimes feel like ‘going slow’ at the outset. However, spending time at this key stage is really important as it pays long term dividends. 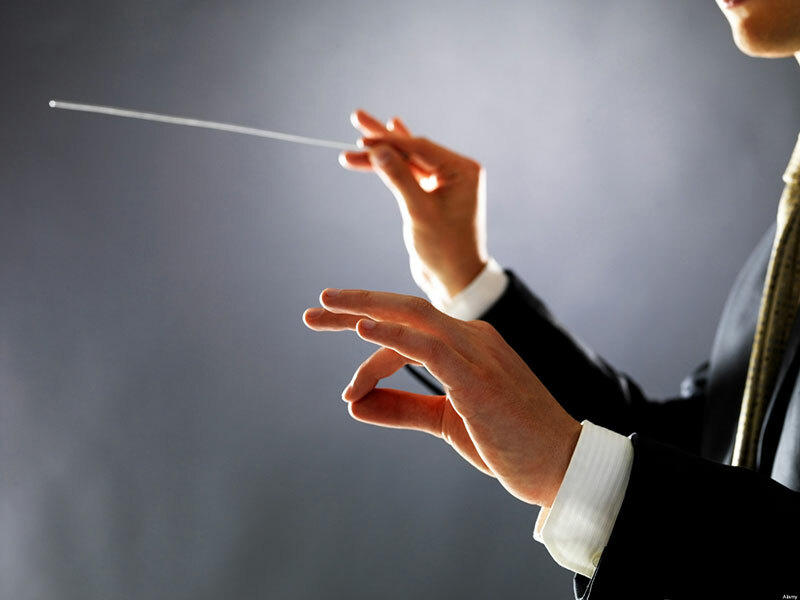 Ultimately, leading a team is rather like conducting an orchestra. Skilled, complex, disparate individuals come together under the lead of one individual who plays an enabling ‘big picture’ role. Conducting an orchestra is the same as team leadership in a commercial context – to do so effectively and efficiently requires appropriate structure, shared goals and a clear understanding of roles and responsibilities; combined, these building blocks ensure that the whole is greater than the sum of its parts. Nsight 2 Success is a leadership consulting firm that specializes in Executive Coaching, Team Development and Succession Planning - helping organizations achieve their business imperatives through their people.